So many choices, so little time. We help narrow down the must-have books for you to get your ::grabbyhands:: this week. Here are our top 3 reasons you’ve got to read Lovely, Dark, and Deep by Justina Chen today. 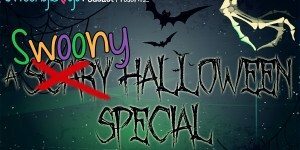 Join us this week for our Swoony Halloween Special and enter to win a copy of The Illustrated Edition of Harry Potter and the Sorcerer’s Stone! Perfect for fans of David Levithan and John Green, Openly Straight by Bill Konigsberg is wonderful, poignant, and touching and is a must read for everyone.